When you sweat, it is your body’s way of keeping your temperature regulated. Sweating can help keep you cooler, but it can also cause unwanted body odor. If your deodorant just isn’t doing the trick anymore, there are a number of home remedies that you can use to combat it. Deodorant is one way, but many people are wary about the chemicals that go into these products. Home remedies are a cost-effective way to get rid of body odor. The home remedies for body odor listed in this article will provide you with a cheap and readily accessible way to handle the problem. Coconut oil is one of the most readily accessible oils on the market. It can be used for a number of home remedies, so chances are you already have some in your cupboard. Coconut oil is cheap at the supermarket if you do not have it already. This makes it one of the best and easiest-to-use home remedies for body odor. For moderate body odor, rub a small amount of coconut oil onto areas where you sweat. For severe body odor, mix together coconut oil and citric acid with water. GMO-free and approved for use in organic foods. A unique cleansing agent that can descale coffee pots, dishwashers, shower heads, and more. 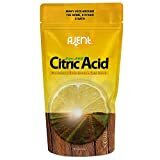 An acidic recipe component that adds sour flavor to candies, jellies, pie fillings, and other foods. 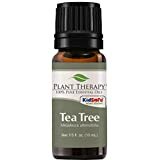 Tea tree oil is another oil that is good as a home remedy for body odor. 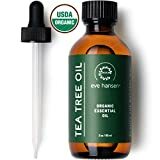 Tea tree oil can be found in virtually any super market or health food store. It is an antiseptic and can stop the bacteria and fungus that cause the odor. It’s often used as a home remedy for toenail fungus, among other things. Because it is so common, it is cheap to buy. It also has many other uses, so it is not a bad idea to pick some up either way. Dilute some of the tea tree oil into equal parts of water, depending on how much you need. Dab the mixture onto your underarms. You can also put it anywhere else where you sweat a lot. Repeat this daily. Lavender oil helps to stop the growth of bacteria that causes odor. It has a nice floral aroma which can also help with the odor. Making a powder out of lavender oil is a great natural alternative to deodorant. 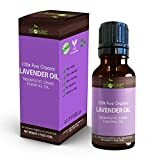 You can find lavender oil in most any health food store or grocery store. It is not an expensive oil at all. Mix cornstarch and baking soda together. Add the lavender oil to the mixture. Store the mixture for a few days in a dark, dry place. Once it has dried, use this mixture as deodorant when you need it, where you need it. Peppermint oil is yet another readily available essential oil. 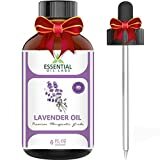 This oil has antibacterial properties that will be able to be used as a deodorant alternative; it may be able to get rid of any odor-causing bacteria. Plus, the smell of peppermint oil can also ward off the body odor. 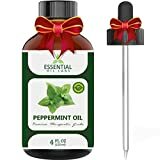 You can find peppermint oil at almost any grocery store or health food store. For mild body odor, apply a few drops of the peppermint oil onto your underarms. For body odor that comes with perspiration, mix the ingredients above. Tamanu is an essential oil that is rich in antimicrobial, antifungal and antibacterial properties. This will help kill off the odor-causing bacteria. It also has a rich scent that may help cover up the odor as well. 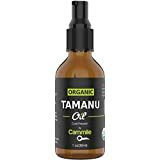 You can generally find Tamanu oil at a health food store, but sometimes you will be able to find it at a grocery store. It is not an expensive product. Blend the tamanu essential oil with equal amounts of one of the above-mentioned oils. Apply it directly to your underarms and anywhere else as it is needed. WANT SMOOTH & SOFT SKIN?...start getting compliments for your skin with this natural skin treatment! PSORIASIS & ECZEMA TREATMENT...tried everything without results...our Tamanu oil is PERFECT for you! SCAR & ACNE SCAR REMOVAL... our pure Tamanu seed oil for skin helps to reduce or remove scars. Sage oil is full of antibacterial agents. These agents may be able to help you to reduce the bacteria that causes the odor to begin with. It also leaves behind a nice, earthy aroma to help with the smell as well. 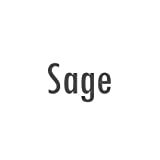 Sage oil is readily available at any supermarket or health food store. It is not expensive at all. Dilute the sage oil with water. Spray it onto your skin under your arms and anywhere else where you sweat a lot. You can also apply sage oil directly onto the skin, but it is important not to leave it on any of the sensitive places on your body. Lemon juice is highly acidic, helping to kill off any sort of bacteria. It is also able to lower the pH balance in the body. By alkalizing the body, it can also help reduce any sort of bacteria from the inside out. This makes it difficult for odor-causing bacteria to survive on the skin. You can get lemon juice at virtually any grocery store around you. It costs next to nothing so that it is essentially a free home remedy. Juice the lemon and rub it onto your underarms using a cotton ball. Cut a lemon into a wedge and rub it right onto your underarms. After it has dried, rinse it off. Epsom salt is a known antioxidant. It has been said that it can easily detox the body. It can also help the body produce serotonin. Serotonin can help the body relax, which may in turn be able to stop excess perspiration. 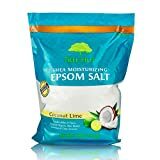 Epsom salt can be purchased at virtually any grocery store or department store. It costs next to nothing, making this a really inexpensive home remedy. Fill up a bathtub with hot water, as hot as you can stand. Pour in some epsom salt as the water fills up. Soak in the bath water filled with epsom salt and try your best to relax. Fenugreek is another known antioxidant. It is able to flush out some of the toxins in the body. Not only this, but it is said to be an antibacterial. This can help stop the odor-causing bacteria from forming on your body to remedy body odor. Making fenugreek tea has been said to stop body odor at the source. 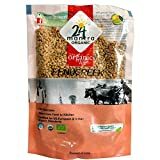 You can get fenugreek seeds virtually anywhere at a grocery store. 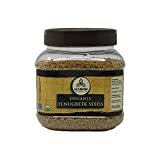 Add fenugreek seeds to around 250 milliliters of water. Boil this mixture until the amount of water in the pot has boiled down to half of what it was. Drink the tea on an empty stomach each morning. 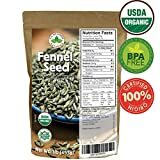 There are a few aspects of fennel seeds that act as a stimulant. Because of this, your body may secrete more gastric and digestive juices in your stomach. These juices can help to eliminate body odor from the inside out. 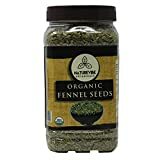 Fennel seeds can be purchased at most health food stores as well as in grocery stores. Add crushed up fennel seeds to 1 cup of water. Once the mixture has been boiled, strain it. Add some honey before you drink it for flavor; drink it every morning before you eat. Amazing little seeds are the storehouse for many vital vitamins. Green tea is one of the most commonly used home remedies for a lot of different things. This is because it is full of antioxidants. These antioxidants are known to be able to stop body odor from the inside out. Green tea can also help keep the skin dry, which can ward off body odor as well. 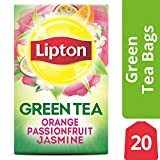 You can get green tea bags from any grocery store or health food store. Boil green tea bags together with water. Allow it to steep for two to three minutes . Once the tea has steeped, remove the tea bag and let it cool. Apply the cooled tea to your underarms or anywhere else that you sweat. Baking soda is excellent at absorbing moisture on the skin, helping to stop the formation of sweat. 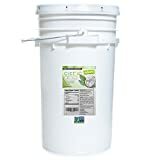 This can also not only kill the bacteria on the skin but can help stop any sort of odor-causing fungus and bacteria as well. It can neutralize the odor thanks to its alkalizing properties. 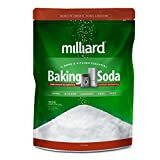 Baking soda can be bought at any grocery store. Put baking soda in a bowl and then brush it onto any part of the body where you sweat. You can also mix baking soda and water into a paste and apply it to other parts of the body such as the underarms. Apple cider vinegar is ultra acidic, making it able to prevent and kill any bacteria. This can help stop foul body odor from occurring and stop it once it has. 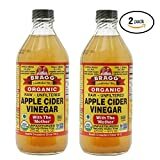 Apple cider vinegar is a household commodity; most people will already have this in their home making it a virtually free home remedy for body odor. If you do not already have it in your home, it costs next to nothing at any grocery store. Dab it onto the affected body parts. Mix water with apple cider vinegar. Spray it on to use as a deodorant. Tomato juice is highly acidic, which can help to alkalize the skin to stop the ability of bacteria-causing odor to form on the skin. Tomato juice also serves as an astringent, which can help close up the pores. This can reduce the production of odor-causing sweat. Tomato juice can be found at any grocery store for a relatively inexpensive price. Fill up your bathtub with hot or warm water. Add tomato juice to the water. Soak in the bath mixture for up to 20 to 30 minutes. Rinse off in the shower when you are done. V8 100% Vegetable Juice. Expertly blended for a delicious taste. Package includes 6, 46 oz. 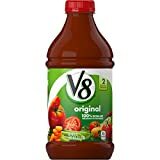 V8 juice bottles- Stock your pantry for the entire family! 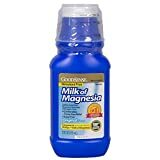 Milk of Magnesia is an antacid that can counteract the acidic production of the body. This can help combat body odor. You can find this in any supermarket or pharmacy for cheap. 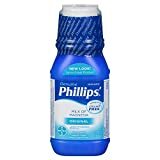 Dab some milk of magnesia onto the underarms. In this article, we have provided you with home remedies for body odor. You can use these home remedies to get rid of body odor the inexpensive way. Which one of our home remedies worked the best for you? Do you have any that you prefer to use yourself? Let us know in the comments section below.